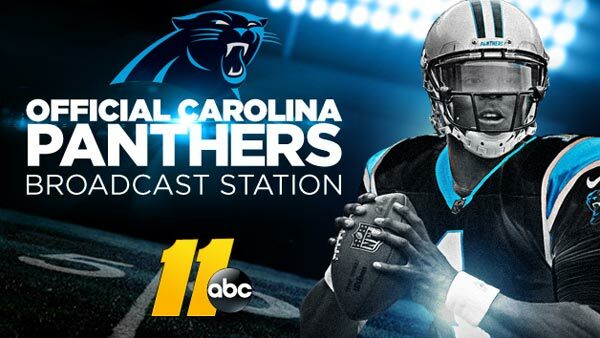 ABC11 is proud to be the official station of the Carolina Panthers. Be sure check out "The Panthers Huddle" on Friday nights at 1:07 a.m. (following Nightline) and Saturdays at 11:30 p.m. each week during the season for the inside line on team and their upcoming games. QB Cam Newton gets into a scuffle after a cornerback picks off his pass in practice. WATCH THE VIDEO. Cam speaks out after his fight in training camp. See what he has to say. Coverage from Day 6 of camp includes discussion about the offensive line, receivers, and injuries. Mark Armstrong breaks it down with Jonathan Jones and Bill Voth. Fresh off the first day, players talk about how tough the defense is to practice against Check out Mark Armstrong's report. Veterans Roman Harper and Charles Tillman hope to help the team with their experience. Mark Armstrong has the details. Changes continue on the offensive line as Jonathan Martin retires. Here's why. Panthers are looking for a 3-peat in the NFC South but Coach Ron Rivera wants more wins in the playoffs. See the full story here.